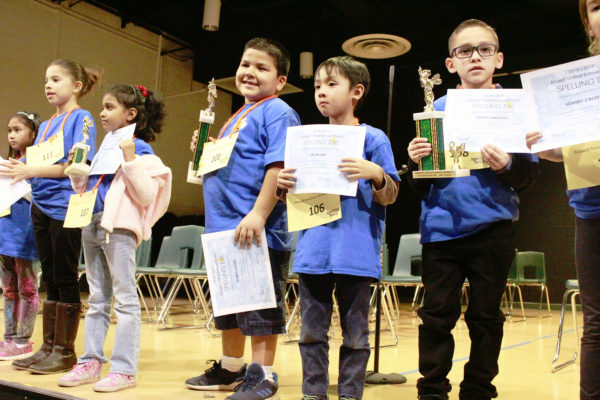 Bassett Unified’s top spellers will compete in the Los Angeles County Scripps Regional Spelling Bee from 8 to 9 a.m. Saturday, March 9 at the North Hollywood High School Auditorium, 5231 Colfax Ave., North Hollywood. Bassett High School’s Pathways Showcase introduced eighth-graders from Edgewood Academy and Torch Middle School as well as current ninth-graders to academic pathways in health care, business, engineering and education on Jan. 30. The event also highlighted visual and performing arts (VAPA) classes. A podcast launched in fall 2015 by two Bassett Unified teachers on special assignment (TOSAs) celebrated its 100th podcast this month and logged its 70,000th download by educators who are keen to learn ways to integrate technology into their instructional plans. 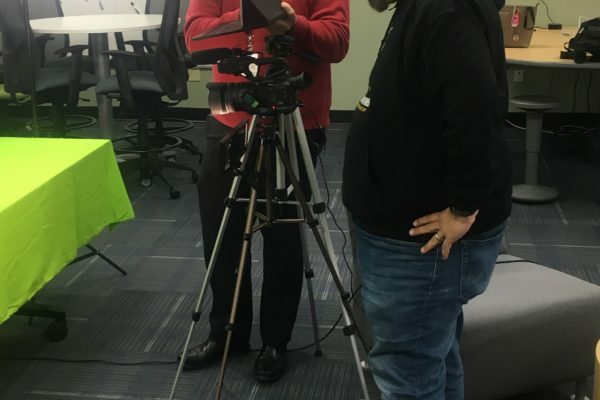 Called “TOSAs Talking Tech,” the podcast was created by Tom Covington and Michael Jephcott to connect with District educators with busy schedules. The show’s popularity skyrocketed after the duo presented at classroom tech conferences in 2017. Bassett Unified School District operates four elementary schools, an intermediate school, a comprehensive high school, a continuation high school, an adult education program and an early childhood education program. Bassett Unified School District will host a Career Fair sponsored by Bassett Adult School from 5 to 8 p.m. Wednesday, May 1 at Bassett Adult School, 943 N. Sunkist Ave., La Puente. Bassett High School, Nueva Vista High School and Bassett Adult School students will explore a diverse array of employment options in the health, business and marketing, engineering and technology, and law enforcement fields. Students will also have the opportunity to connect with local employers, learn soft skills and polish their resumes. Bassett Unified teacher Jodi Ruiz, with the help of technology integration specialist Michael Jephcott, set up a Skype lesson for her Edgewood Academy third-grade classroom to speak with renowned primatologist Jane Goodall on April 3, which also happened to be Dr. Goodall’s birthday. Bassett Unified’s Bassett High School, Torch Middle School, Edgewood Academy, Sunkist Elementary, and Don Julian Elementary held open house events April 4-11, highlighting classroom tech innovations, offered programs, CTE pathways and clubs, as well as student projects for families and friends. Bassett Unified held a Winter Sports Celebration on March 27 in honor of Bassett High School wrestling, boys’ and girls’ basketball, soccer and cheer and a Spring Sports Rally to kick off the new season of sports on April 5. Coaches gave speeches and presentations, which highlighted student and team achievements, video footage and athlete interviews during the Winter Sports Celebration. Bassett Unified School District will host the second annual Celebrating Bassett showcase, highlighting student achievements, programs, enrichment opportunities, Digital Learning Initiative and more. The event will run from 5 to 7:30 p.m. Thursday, May 9 at Torch Middle School, 751 Vineland Ave., City of Industry. Bassett Unified held a Winter Sports Celebration on March 27 in honor of Bassett High School wrestling, boys and girls basketball, soccer and cheer at Bassett High school. Coaches gave speeches and presentations highlighting student and team achievements along with video footage and athlete interviews. Bassett High School’s Open House was held concurrently. Bassett High School students joined more than 70 teens at the third annual Girls’ Health Rocks! Conference on March 9 to learn about issues surrounding puberty, eating and exercise, and mental health. Students connected with 50 community-based experts, college representatives and industry professionals who shared lessons on soft skills, job success and relationship-building during Bassett High School’s Mentor Expo on March 8. 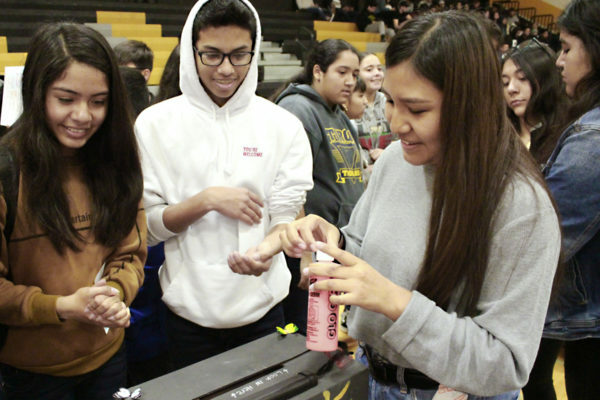 Bassett High School students interested in health careers will connect with peers and compete in health-themed contests at the 2019 California Health Occupations Students of America Club State Leadership Conference, starting Thursday, March 28 at the Sacramento Convention Center. Torch Middle School and Edgewood Academy students will compete in the Los Angeles County Math Field Day contest from 7:30 a.m. to 1 p.m. Saturday, April 27 at Glendora High School, 1600 E. Foothill Blvd., Glendora.